Among the many options available for communicating electronic protected health information in compliance with the Health Insurance Portability and Accountability Act (HIPAA), a HIPAA compliant texting product is the most favored, and least likely to result in a breach of ePHI. Due to copies of emails remaining available on the email providers server- with no possibility of remotely deleting them – many healthcare organizations had concluded that this channel of communication is unsecured, and instead have chosen a product for texting in compliance with HIPAA. This article explains the features and benefits of secure text messaging products and for further information about how a HIPAA compliant text product fulfills the physical, technical and administrative requirements of the HIPAA Security Rule, you are invited to download and read our “Top Ten Considerations when Selecting a Secure Text Messaging Solution”. 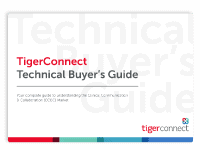 TigerConnect is the industry leader in secure text messaging, and facilitates HIPAA compliant text messaging by providing authorized users with access to ePHI through a secure and encrypted messaging platform. Authorized users can access ePHI once they download the application, compatible with most mobile devices and accessible via the web. The app mimics an SMS interface that users will adapt to quickly and not be tempted to use alternate, unsecure channels of communication. The secure platform also provides administrative controls to protect the integrity of ePHI, and can remotely retract or delete any communication which may cause a breach of ePHI, or remotely wipe a mobile device of all ePHI should it be lost or stolen. All communications are transmitted within a defined network, and users must authenticate their identity with a unique username and password before being able to send, receive or reply to any text message containing ePHI. All messages sent through TigerText’s product for texting in compliance with HIPAA are acknowledged with a delivery notification to ensure that the message has been sent to the right person, and controls exist so that texts containing ePHI cannot be copied and pasted or forwarded to any person outside of the network. TigerText’s HIPAA compliant texting product fulfills the administrative requirements for HIPAA compliant text messaging by generating audit reports in order that administrators can monitor usage of the product and ensure that all text messaging is conducted within organizational policies. 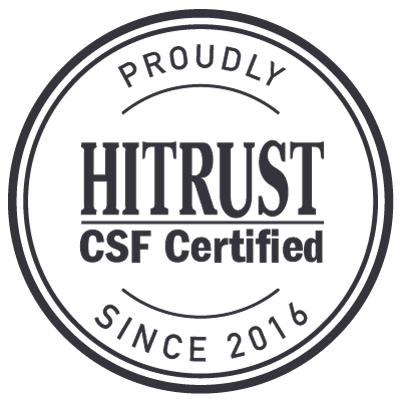 Many of the features included in secure text messaging products were originally developed in order to comply with the HIPAA regulations and safeguard the integrity of ePHI. As TigerText’s HIPAA compliant texting product works in any location where a 3G or Wi-Fi service exists, a number of benefits have been derived from using our product for texting in compliance with HIPAA. Healthcare professionals can communicate ePHI “on the go” with secure text messaging, access x-rays and lab results, collaborate with colleagues to diagnose patients, arrange for treatment to be administered and accelerate patient discharges. Automatic read receipts enhance doctor-nurse communications when physician consults are requested by secure text messaging – reducing the amount of time that is consumed by phone tag and allowing healthcare professionals to allocate their time more productively. Outside of the hospital environment, prescription orders can be filled quicker with secure text messaging, home healthcare workers can escalate patient concerns with secure text messaging, and emergency personnel can accelerate admissions with secure text messaging. Each of these scenarios shows how secure text messaging products can be used to streamline workflows, increase efficiency and enhance the standard of healthcare received by patients in a cost-effective manner. Indeed, our case studies continually demonstrate how TigerText’s HIPAA compliant texting product improves productivity within medical facilities. 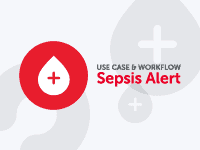 One particularly relevant case study concerns the South Davis Community Hospital in Utah, which faced the challenge of doctors receiving updates and patient consult requests from nurses in five different locations. The issue was further complicated by the fact that the doctors used mobile devices with varied operating systems, while nurses were based at a station with a desktop computer. Because of the risks associated with sending ePHI over unsecure channels of communication, the South Davis Community Hospital implemented TigerConnect’s secure texting in compliance with HIPAA – which works across all operating platforms – with the result that healthcare professionals no longer waste valuable time playing phone tag to discuss sensitive patient issues and, with the ability to send images, x-rays and prescription orders by secure text messaging – the coordination of patient healthcare has improved. Features such as Industry-leading encryption, the ability to assign message lifespans and receive delivery notifications help the South Davis Community Hospital maintain HIPAA compliance and prevent a breach of ePHI. Despite many secure text messaging products having similar features, not all are the same or can provide the same level of security as TigerText’s HIPAA compliant texting product. Therefore, in order to help healthcare organizations choose the right product for texting in compliance with HIPAA, we have compiled “The Top Ten Considerations when Selecting a Secure Text Messaging Solution”. Our white paper covers topics such as complying with the physical, technical and administrative requirements of the HIPAA Security Rule, and offers advice on how vendors of secure text messaging products should be evaluated to ensure that – if work practice change, if technology advances or if new legislation is enacted – the product will not become stagnant and need replacing. 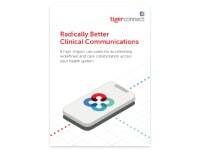 TigerConnect is the leading provider of secure text messaging products, and our HIPAA compliant texting product is now implemented in more than 5,000 facilities. TigerConnect helps healthcare organizations easily streamline workflows, increase efficiency and enhance the standard of healthcare received by patients in a cost-effective manner. If you would like to know more about TigerText’s product for texting in compliance with HIPAA, or would like to organize a free demonstration of TigerConnect in action, please do not hesitate to contact us and discuss how TigerText’s HIPAA compliant texting product can facilitate HIPAA compliant text messaging in your healthcare environment.